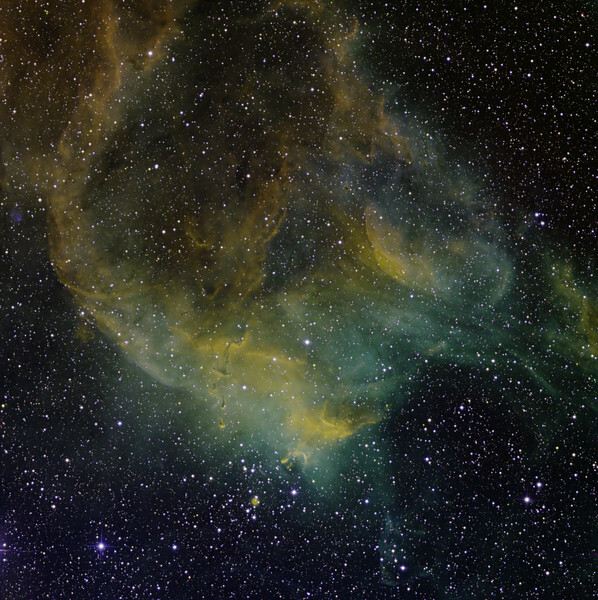 NGC 3572 in south-west Carina. Green: H-alpha; Blue: OIII; Red: NII. 2 hrs each in 1hr subs. Aspen CG16M on 20" PlaneWave CDK. Field 36 min arc.